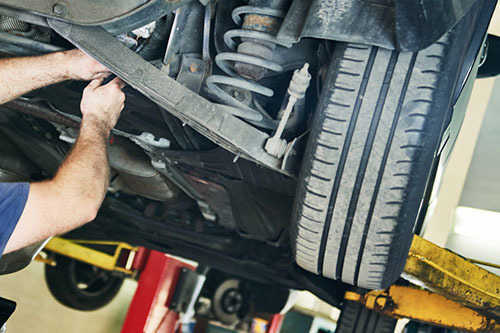 Your car's suspension system keeps your vehicle comfortable to drive by stabilizing it. However, it keeps your car safe, as well, by improving steering stability, and a failing suspension can make your car much more difficult to control and stop. Keep your car both comfortable and safe, get your suspension looked at.